23 April 2014 - In observance of the Women’s Month, the Philippine Embassy in Abu Dhabi held a free seminar on local laws on women on April 11. The seminar was conducted by Atty. Barney Almazar, Director of Commercial Law, Gulf Law Consultancy. The seminar is beneficial to Filipinas who are currently working/residing in the United Arab Emirates (UAE) to be more aware of their rights. It was done in conjunction with the free legal aid and seminar on credit card and bank loans which is one of the issues commonly encountered by Filipinos in the UAE. 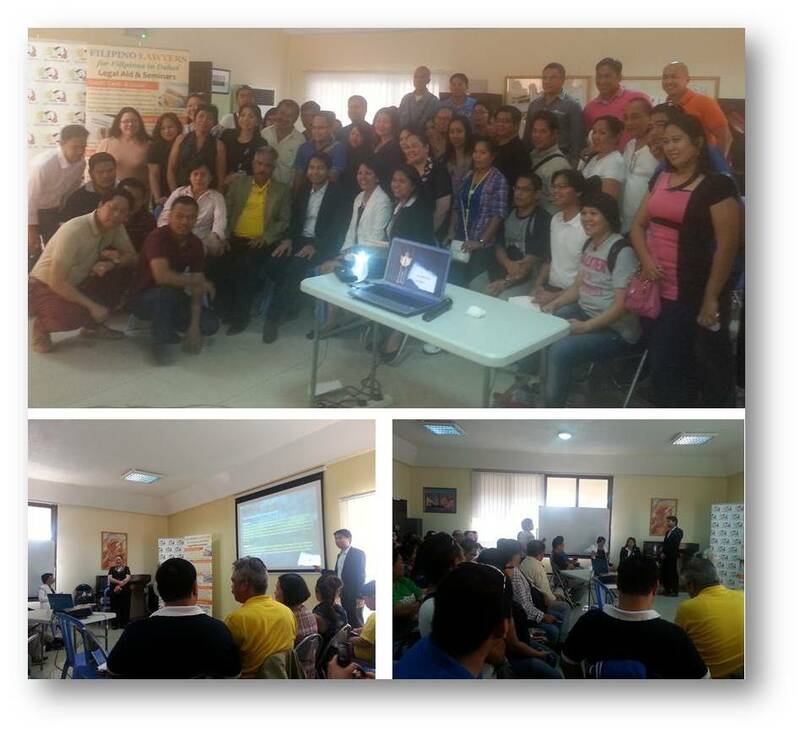 Filipino community members from Abu Dhabi and Dubai attended the seminar.